What would our grid weave? People, first of all. We believe in this small, cozy environment that can favor meetings, dialogues and most of all the sharing of ideas. We see here a person coming to buy a pair of earrings, a person interested in design, a person interested in seeing something different, a person interested in the Romanian craft and culture. 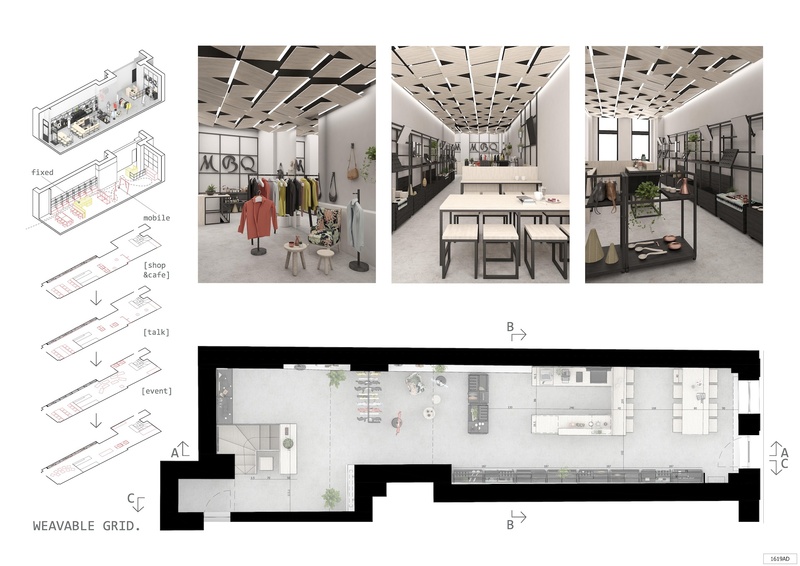 The liveliness of this tiny room, as a social and cultural incubator counts on the great variety of designs that are exhibited here. We propose to accommodate this variety with our "weavable grid" - simple and contrasting to the materials used by the craftsmen - natural grain wood, copper, silver etc. The aim here is to be as neutral as possible, while greatly emphasizing the warm tints of these traditional materials, their forms and variable sizes. The grid frames accommodate wood panels which support the goods, designers' sketches and pictures of the exhibited objects in the making. Occasional videos of the workflow of the craftsmen can be projected on the wall, next to the entrance. 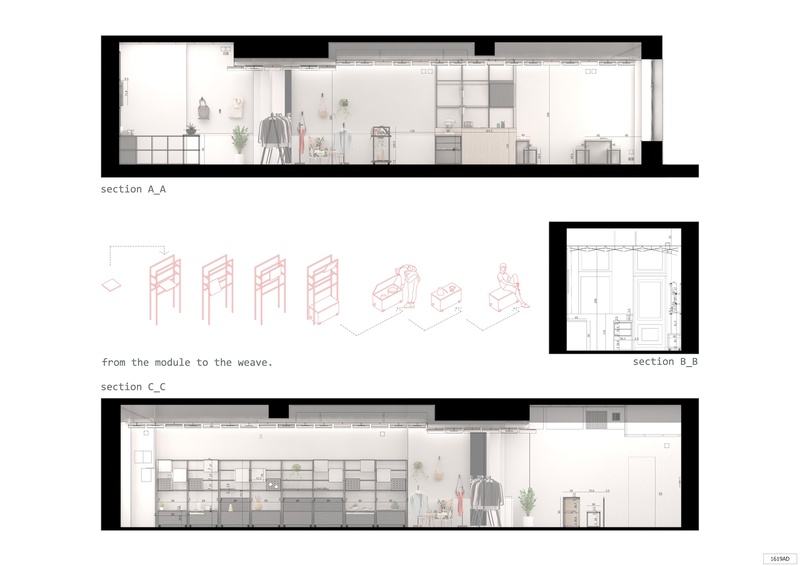 The layout of the room is easily changeable - the mobile, multifunctional modules can accommodate any type of activity - the bar, the coworking area, the shop, an evening gathering, a film projection, a design talk...various combinations of these activities happening simultaneously is in our opinion a must. While in its generic state, the different functions are more spatially segregated, in the event of a social gathering these limits can melt and allow free use of the room.